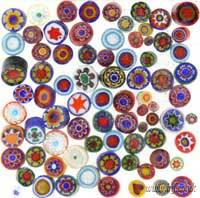 Small glass Millifiori beads 4-6 mm for melting on to copper blanks. Although small this is the most popular size. 45g Pot.